It sounds like a dream investment — doesn’t it? Investing in a Defence Housing Australia (DHA) property can seem like an attractive prospect — at first glance. This government-backed scheme provides housing to Defence Force members and their families, and offers the opportunity for everyday Australian investors to purchase a property from DHA, and then lease it back to them at lease terms anywhere from three to 12 years. The attractions include little to no research or legwork for the investor, as DHA arranges tenants, maintenance, repairs, and rent increases. They also refurbish the property when tenants move out. 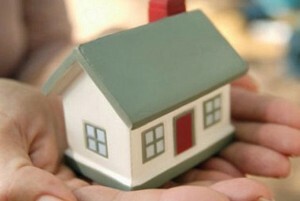 Furthermore, a DHA property is guaranteed income, as the government will pay the rent even if the property is vacant. There will be no vacancy periods, either — from the date of settlement, rent is paid, regardless of the actual tenant is found and moves in. Is DHA investing too good to be true? For an armchair investor, this arrangement may seem too good to be true. I think you can do far better than a Defence Housing investment, and here is why. First of all, your investment may seem like a dream come true, but many of those benefits are a fallacy. In truth, your investment is inflexible. Once the lease expires, as the investor you gain full control of ownership — you can move in, rent the property privately, knock it down, or do whatever you wish with the property. 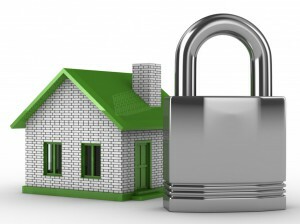 However, for the duration of your investment, that property is 100 per cent locked in with DHA. 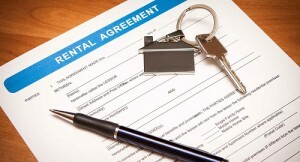 No matter how your circumstances change or what you would like to do with the property, your hands are tied, as you are locked into an iron-clad rental agreement that can last up to 12 years. What’s more, if you want to sell your property during that time, you will also be forced to sell to another investor, rather than an owner-occupier. Investors only make up about 30 per cent of the market compared to owner-occupiers. That’s an awfully large segment of the buying market you simply cannot market your property to. And speaking of that ironclad rental agreement, let’s have a look at how much the management fees are going to subtract from your rental income. Management fees across Australia generally range from six to ten per cent, averaging around eight per cent, depending on your location. However, with a DHA lease, management fees are very high at 16.5 per cent, which is around double the industry standard. You may benefit from no vacancy periods, but with sky-high management fees, you may be paying for them in other ways. The next factor up for discussion is the location. DHA properties are, understandably enough, built in areas suitable for Defence members and their families, which are near military facilities. The DHA therefore doesn’t consider the property from an investment perspective, the way that you or I might. They are not giving consideration to capital growth drivers, economic conditions and population growth prospects, instead favouring proximity to their facilities as their primary criteria. This leads me to my final point, which is the actual property or properties in question. As a large number of DHA properties are generally constructed in the one area, the homes tend to be similar and modest. 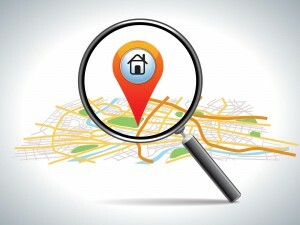 There is little “unique factor”, which can be compounded by the fact that you cannot make improvements, renovations, or additions to a DHA property during the lease period (beyond what the DHA itself sees to in terms of maintenance, repairs and refurbishment). Overall, there’s much to think about when considering a DHA property investment. Some have the viewpoint that it is a “safe” investment with little legwork and a long-term guaranteed income, however if you dig a little deeper, the cracks in this argument begin to show. Given the high management fees, the lack of strategy behind the location and the inflexibility of the investment, it’s my view that investors can find far better deals, with much lower risk. If you’re still considering a DHA investment, here are some questions you should ask.